Blockchain is considered a breakthrough solution for addressing many use cases. It relies heavily on Public Key Infrastructure (PKI), but it doesn’t have a defined security model to secure the participating nodes and PKI keys. In a virtualized cloud infrastructure, typical hardware secure storage like Trusted Platform Module (TPM) is not available. Any nodes running on cloud infrastructure require private key protection. While cloud infrastructure providers offer Hardware Security Module (HSM) and key management services, the usual node authorization to the service itself can be compromised. Enterprise private blockchain consists of a permissioned Blockchain network in which consensus can be achieved through a process called “selective endorsement,” where known entities verify the transactions. The advantage for businesses is that only participants with access and permissions can maintain the transaction ledger. This calls for Enterprise IAM features extended to participating nodes. For use cases leveraging private Blockchain and vendor managed infrastructure, identity management that controls who is authorized to resources on the network, data confidentiality and access controls are important. Some of the unique characteristics of Blockchain technology like decentralization, replicated data stores, and consensus or permissioned mechanisms introduce scalability challenges. 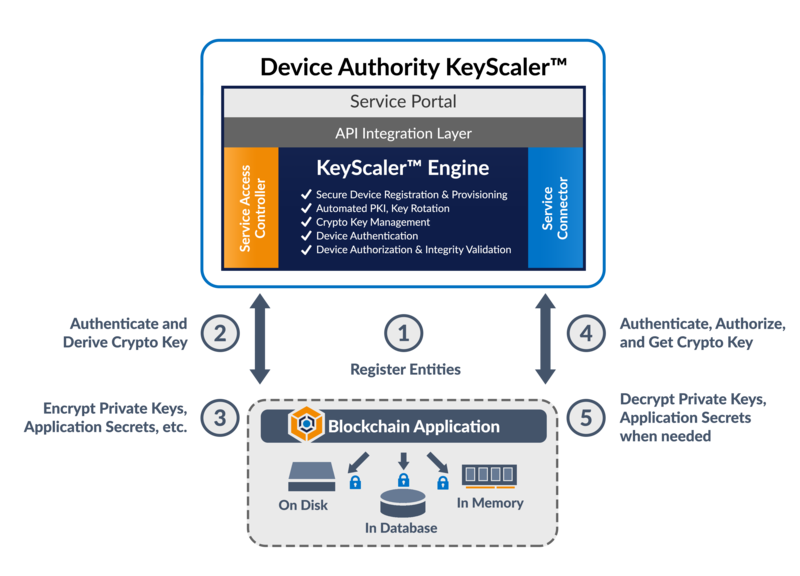 While PKI is a proven technology for identity and data security, implementing and managing at scale for Blockchain isn’t easy. HSMs are popular for secure key generation and storage. While private keys are protected in HSMs, it is still possible for attackers to compromise credentials used by nodes, and admin servers that connect directly to HSM.